BizReport : Research Library : Datto Inc. Looking to expand your recurring revenue? Need a key to open the door to small business? 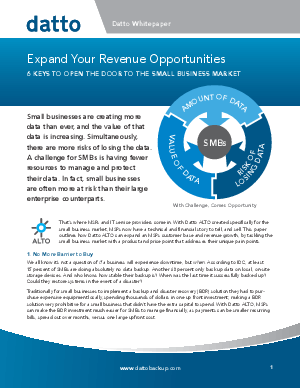 Learn how Datto ALTO answers both questions, as the key to BDR for small business.